Requires iOS 6 or higher, Android 4.4.2 or higher, Windows Mobile 8, latest RIM OS. 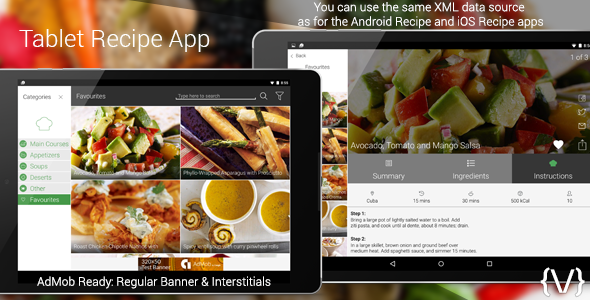 Recipe App designed for tablets, which is fully compatible with our Android Recipe App and iOS Recipe App. This means that you can use the same XML data source for all of the apps. The app is designed to work in landscape mode. An elegant user experience built for a very simple yet very effective browsing experience! 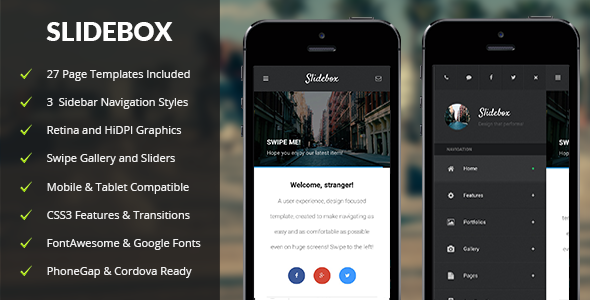 Simply swipe left or right to open the sidebar menu and give your content the ability to extend the entire screen! 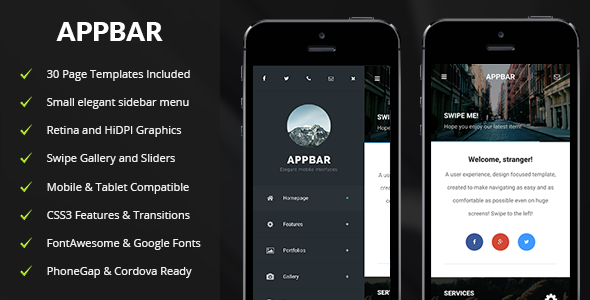 Choose from a left sidebar menu, a right sidebar menu, or dual sidebar menus! Elegant and beautiful to use!